Here are some photos that have been taken at the Ayakulik River in the fall of '98. Looking up the Ayakulik River from a skiff. 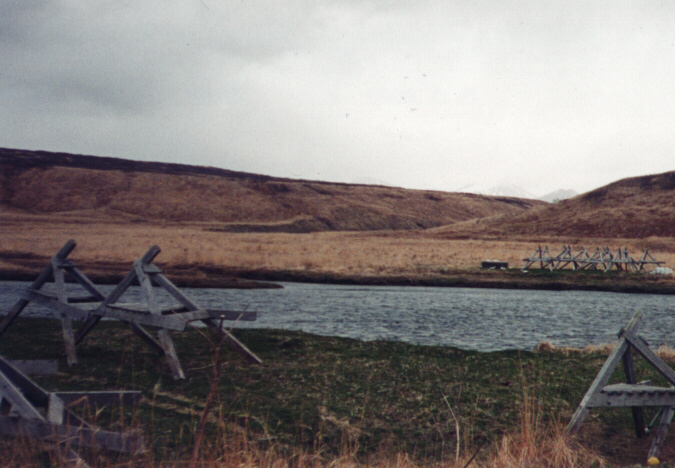 Lower Ayakulik River (mouth is just off the picture to the right). 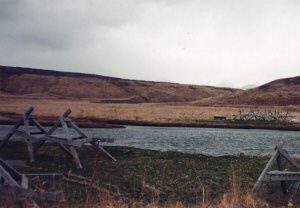 ADF&G fish wier located on Ayakulik, Inc. property.